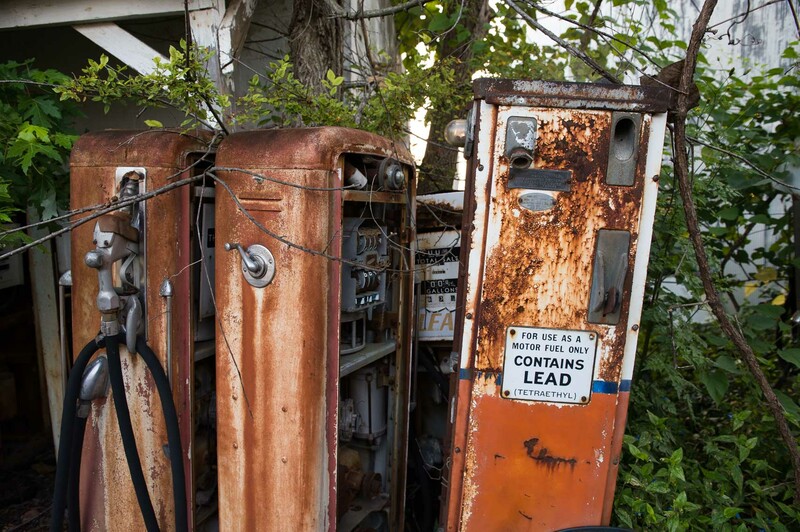 Three long-forgotten gas pumps hide in the bushes behind the office of the Delano Oil Company. Jay's grandfather started the "tradition" of collecting old pumps, which continues to this day. Collectors looking for vintage gas pumps often stop by to inquire about them. Newer, "contemporary" gas pumps are abundant and are of little interest to anyone, Jay says.